Big Island police are searching for a 23-year-old Hilo man who was reported missing. 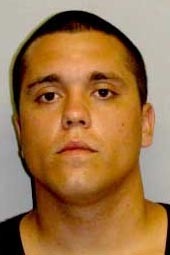 Zachary Boggess, also known as Zachary Dutro, who has no permanent address, frequents the Hilo area. He was last seen by friends in the area of the Suisan Bridge in Hilo during the early morning hours on Wednesday (June 1). He is described as Caucasian, 5-foot-8 and about 180 pounds with brown eyes, short brown hair and a tattoo on his upper left arm. Police ask that anyone with information on his whereabouts call the Police Department’s non-emergency line at 935-3311. Tipsters who prefer to remain anonymous may call Crime Stoppers at 961-8300 in Hilo or 329-8181 in Kona and may be eligible for a reward of up to $1,000. Crime Stoppers is a volunteer program run by ordinary citizens who want to keep their community safe. Crime Stoppers doesn’t record calls or subscribe to caller ID. All Crime Stoppers information is kept confidential.